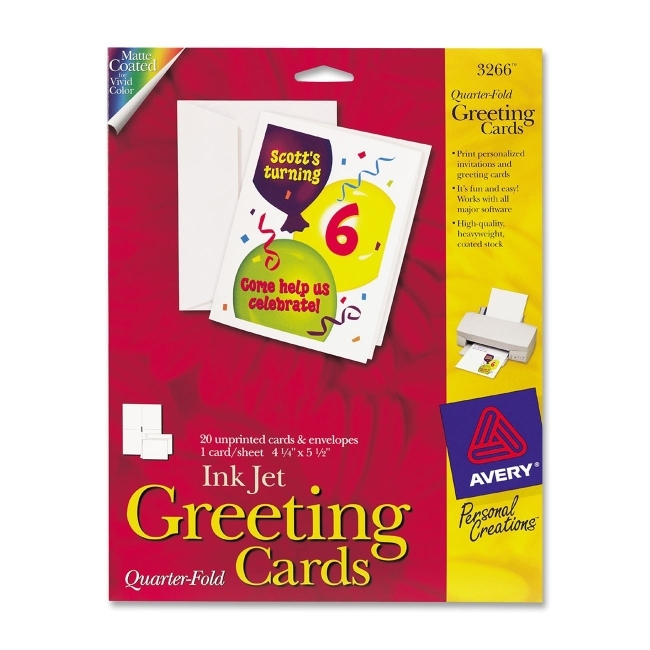 Print your own elegant greeting cards, announcements and invitations with heavyweight quarter fold greeting cards. Simply design on your computer and print with your inkjet printer. Cards are scored for easy folding and include matching envelopes. Made of high quality, matte-coated stock for vivid color and photo printing. Great for party invitations, birthdays, holidays, announcements and much more.